Over the past five days, only two children have managed to escape the terrorist-held Damascus suburb, despite the introduction of daily humanitarian pauses, according to the Russian military. Terrorists who control Eastern Ghouta have imposed a curfew during humanitarian pauses and banned civilians from gathering in order to prevent them from leaving the area through the humanitarian corridor, Russian Major-General Vladimir Zolotukhin stated on Sunday. "The civilians who violate the militants' rules are subjected to public punishment," he pointed out. The Russian Defense Ministry's Center for Syrian reconciliation also said that the militants in East Ghouta shelled a medical aid post close to a checkpoint near the settlement of Er-Rikhan. The shelling, however, resulted in no casualties, the center added. Meanwhile, the Syrian army said it continued to secure the humanitarian corridor for civilians, adding that militants tried to use residents as human shields. The state-run news agency SANA also reported citing anonymous sources that the government troops had advanced "on several fronts," liberating several villages and farms in the area. The situation around the humanitarian corridor in East Ghouta has been tense recently, with militants who entrenched themselves in the area constantly violating the truce and preventing civilians from escaping the besieged suburb. 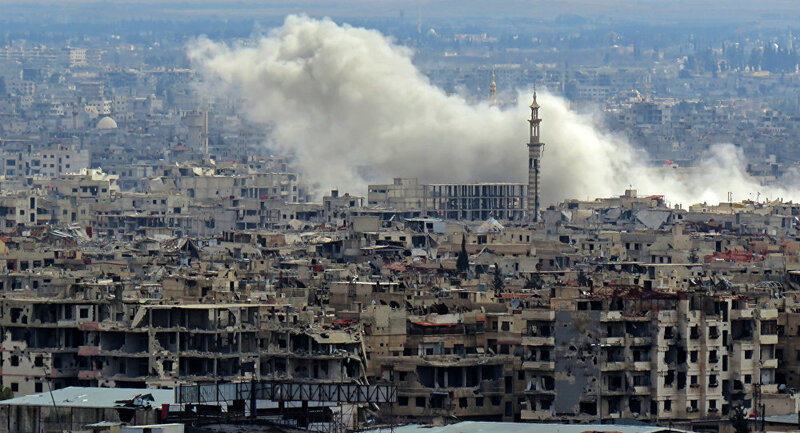 The militants also shell Damascus from East Ghouta regularly, causing damage to buildings and injuring civilians. 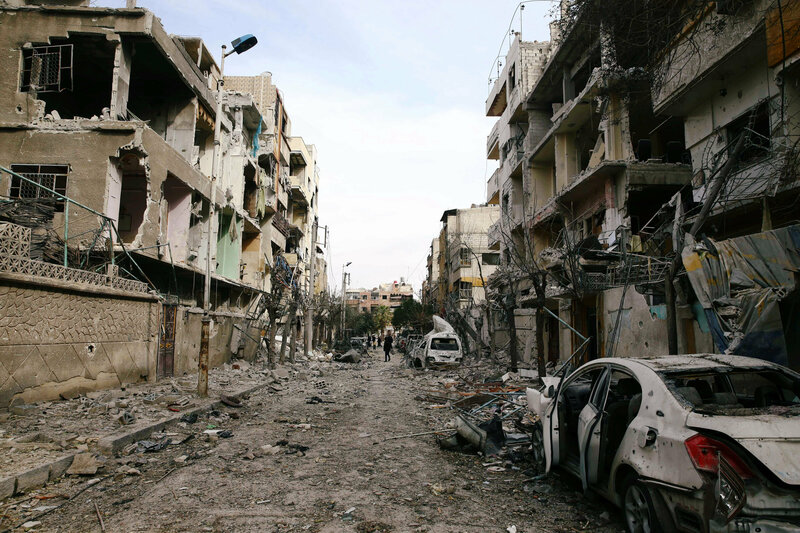 Maj. Gen. Yury Yevtushenko, a spokesman for the Russian center for Syrian reconciliation, said that civilians complain about hard living conditions under militants and repressions via the hotline. The residents report about a lack of food, medical supplies, water and electricity. On Saturday, snipers were firing at access routes to the humanitarian corridor to stop civilians from using it. So far, six humanitarian pauses from 9:00 a.m. till 14:00 p.m. (07:00-12:00 GMT) have been declared in East Ghouta, with the latest one currently in effect. The residents are being informed via broadcasts, text messages, and leaflets about the ways to exit the areas controlled by militants and proceed to government checkpoints. The aggravation of the situation followed the adoption of Resolution 2401 by the UN Security Council on February 24. The document that was passed unanimously calls on all warring parties in Syria to immediately stop fighting and implement a humanitarian pause so that humanitarian aid may be delivered to the areas affected by the clashes and injured civilians can be safely evacuated.